After hosting Gorefest in Minneapolis, I stopped in Iowa City to see my friend John Pata. He was screening his film, Dead Weight, at the Landlocked Film Festival. There, I finally met Nicholas Elert (Dead Weight composer) and Joe Zerull (A Cadaver Christmas writer/director). I heard about Cadaver from John over the summer and booked it for December's Slaughter Movie House. How could I not? The title sells the movie alone. A Cadaver Christmas is screening in Kansas City on Monday, Dec. 3rd at 7 PM for FREE at Czar Bar, where I am also showing the French short film: Baby-Sitting. The 4 of us were ready to take on this college town. We attended the festival's official after party, which was held at a penthouse loft that you wouldn't believe exists in Iowa City. This place was 2 stories, with floor to ceiling windows. The party was fabulous but not uncomfortable. With unlimited booze and food, you'd be right assuming we were the last people there. You might even say, 'we were kicked out'. 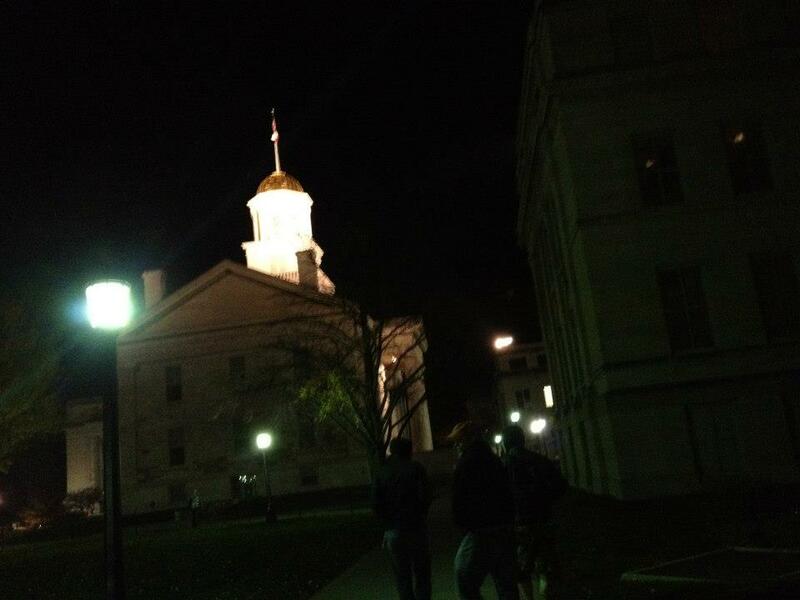 It was only midnight and all the bars were packed to the brim with students in Halloween costumes. We were a little out of place, but had the greatest time. '666' How amazing is this sign? When going on road trips, I like to take longer, more scenic routes. I often take country highways instead of the interstate. And yes, it takes a lot longer! I do this because you never know what you'll discover. 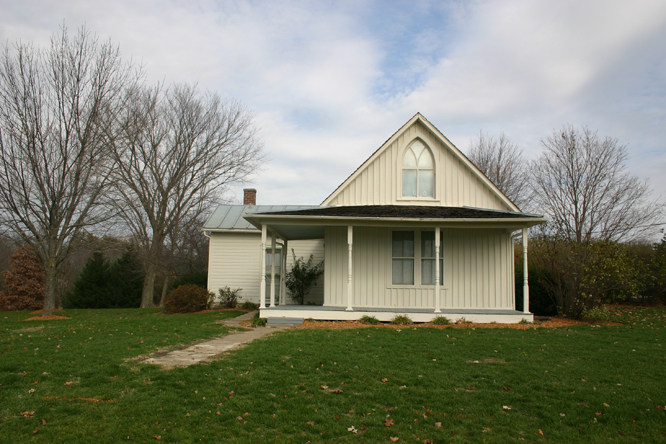 I was proven right again when on my way home from Iowa City I ran into the house from the American Gothic painting! 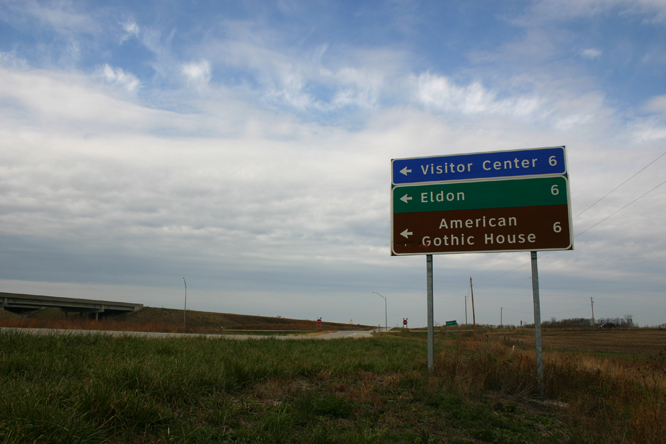 The house is located in Eldon, a tiny town in south-east Iowa. It was a lot smaller than I imagined.